Sign up for our best resources, tips and advice on branding, design and business. Totally free. 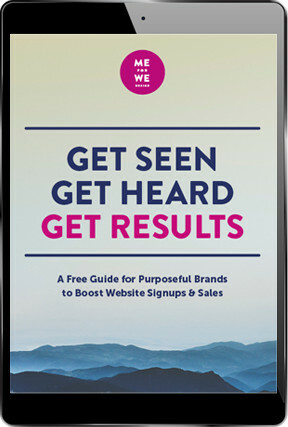 You’ll immediately receive this free guide to boost your brand’s impact online when you subscribe below. These smart tips have helped our clients create big shifts and growth. You’ll also receive our newsletter delivered about once a month. We’ll never sell, rent, or share your contact info with any one else. You can unsubscribe anytime (and we won’t be offended).